Disclaimer: The information on this web site is presented for the purpose of educational and free exchange of ideas and speech in relation to health and awareness only. It is not intended to diagnose any physical or mental condition. It is not intended as a substitute for the advice and treatment of a licensed professional. In the event that you use the information for your own health, or for that of your animals if you choose to give them distilled water, you are prescribing for yourself or your animals, which is your constitutional right and for which the author of this site assumes no responsibility or liability of any kind. The author of this website is neither a legal counselor nor a health practitioner, nor a veterinarian and makes no claims in this regard. My Guest is ANDREW NORTON WEBBER. I first heard about Andrew’s work through my friend and guest, Diana Luppi who wrote one of my favorite books, “ET:101 the Instruction Manual”. She had been listening to an internet radio broadcast by Chrissy McMahon interviewing Andrew Norton Webber. In her excitement, she forwarded the link to me. I, in turn, was astonished by the information and sent it to others. Since, Andrew and I have been collaborating on the use of distilled water and “liquid therapies”. This show is an overview and introduction about how to empower our Selves and halt the insanity of ingesting toxic chemicals. It is no secret that there are dozens of odorless, tasteless toxic inorganic chemicals and pharmaceuticals in our drinking water. In addition, we discuss the fallacies about “spring water” and mineral waters, and why they are not beneficial. We are being deceived into thinking that all minerals are good. This is not true. There are organic minerals, from plants ingesting hard inorganic minerals, and there are Inorganic minerals that the body cannot use which must go somewhere. In the body’s infinite wisdom, the main credo is “First, do no Harm”. Infinite intelligence moves Inorganic and unusable minerals, found in well, spring and “special waters” that cost money, to those parts of the body least likely to have problems with it. Drink enough of these dead, inorganic minerals and the body eventually must place toxins such as Fluoride, Chlorine, Cryptosporidia, Giardia lambia, Arsenic, Barium, Boron, Cadmium, Cobalt, Iron, Lead, Mercury, Nickel, Selenium, Vanadium, RADIUM, Chloride, Nitrate, Ammonia, Trifluralin, Dicamba, Bromoxynil, Trialletel, Benzene, Bromoform, Carbon tetrachloride, Chlorobenzene, Chloroform, Toluene, Phenol, Fluoranthen, Hexachloroethane, Isophorone, Nitrobenzene, Phenanthrene and about 20 other toxic, odorless and tasteless inorganic compounds in places where harm IS INEVITABLE. This leads to the obvious results: Arthritis, eye disorders, brain dysfunction, auto-immune disorders and many other “dis-eases”. These compounds came from tests run by the University of Pennsylvania & Carnegie Mellon University. Distilled water removes all of the above, including RADIATION from nuclear mishaps! Andrew discusses the “why and how” to de-mineralize (de-calcify) and unlock the awesome power of our own living glands; in particular, the Pineal, which is the King and Queen of our higher faculties working in synchronicity with all our glands, when fully working and not “deadened” by fluoride and myriad other “toxic substances”. We are doing a series of shows at BBS Radio which are not scheduled during my regular broadcast time. Each show will be tailored to discussing a specific dis-ease, with case histories of those who have healed themselves using simple, easy to use and inexpensive liquid therapies. We briefly talk about amniotic fluid, and open the discussion to the fact that “Our best therapy on all levels is always within”. To reach Andrew with questions, he is working on setting up his website, Aquarius the Water Bearer. Andrew Norton Webber wanted me to share the following with you. I’ve put together the specific writings of twenty-four doctors who all support the benefits of Distilled Water. The first few pages of Dr. Hanish’s book (Doctor #24) at the end of this, are really quite stunning. If, after reading this, you think you would like to try distilled water, I HIGHLY suggest you follow his instructions. EVERYONE we know, who has followed his instructions, has had results of a MOST SUCCESSFUL nature. of the lungs(86% water), stomach, liver(85% water) and other vital organs. Why? Because it is free of all inorganic minerals. It is so pure that all liquid drug prescriptions are formulated with distilled water. teakettle from repeated use, are traces of minerals left behind as the water evaporates. 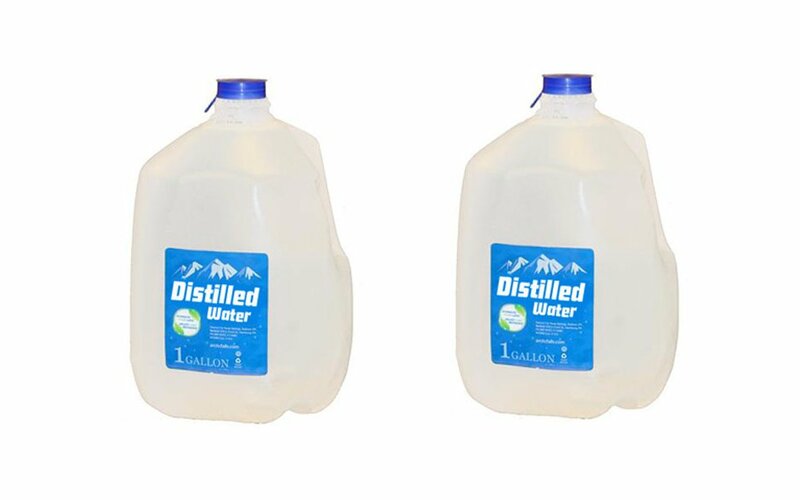 Distilled water leaves no such traces – in a teakettle or in the human body. It is true that in most hospitals distilled water is used for newborn infants; distilled water is prescribed for heart patients in many cardiac wards. And it is true that kidney stones and other mineral-like buildups in the body are much more common in the areas where the drinking water has high levels in inorganic minerals – and distilled water has none of those at all. Nick Pavlica, Director, H2o Labs, Ltd. It is also one of the best ways there is for reducing blood pressure. I made up two charts years ago when I was doing my studies on body detoxification with distilled water, from 1865 to 1965. In 1865, diseases that ranked in the high 30’s and low 40’s became the first four killers in 1965…and they were all cardiovascular. I then made another chart from 1865 to 1965 to show the reduction in the use of drinking rainwater. The two charts were virtually biometrically opposite. As people quit drinking rainwater, cardiovascular diseases went up. When the blood vascular system is clean you have less headaches, you have less pain, you have more oxygen and nutrients available for the body and more healing capacity for the body. If desired, two more portions may be taken one, two hours after lunch, and the other two hours after dinner. As regards to eating and drinking, it is a matter of individual choice. Nothing is forbidden and there is no need for fasting nor privation. One may eat and drink according to individual needs. One eats only moderately after having taken two cups of distilled water. The principle of The Cure must be maintained, i.e., seven times per day, two cups of water at one time – making sure to take two cups shortly before each meal. It will soon be discovered that even at breakfast time one eats very moderately after having taken two cups of distilled water. After three days one observes a loss of taste for this and that and quite different desires assert themselves for dishes which one may have previously disliked. 3. It provides a youthful freshness in a measure that often youth does not possess as the whole glandular system becomes normalized, hereby increasing the brain power, and life becomes more joyous. Always remember, therefore, to resort at interval to The Water Cure. If feeling unwell, start again for a few days or even weeks. Take The Water Cure as a serious treatment for five to seven weeks every three, five, seven, nine years, as it purifies the whole organism, and, becoming thus renewed, continuous progress is assured. Distilled water is therefore of the greatest value for the individual as well as humanity at large. result, whether one resorts to it for a weak stomach, indigestion, dyspepsia, constipation or a liver which does not function normally, or because the kidneys are affected; for the lungs, nerves, heart trouble, change of life or for growths. When you read the different doctors describe how distilled water melts garbage inside of you, make sure you understand that this translates into real world events. As in, garbage WILL start to pour out of you! It has to come out! But better out than in, right??? So this means, you WILL have detox symptoms. And everybody is different as to how they detox, where they detox, and what they detox. It all depends on what YOU have ingested and inhaled your whole life and what routes your body chooses to eject the garbage. The theory of transmutation implies that the body is capable, through energetic exchange within the body itself, to transmute certain substances or molecules into other ones. Short-circuiting the system by ingesting one’s own secreted body fluids might stimulate the transmutational forces within and challenge the body to transform unusable substances into usable ones without being constantly disturbed by new external input. This would specifically apply to fasting on urine. Another important aspect is the theory of structured water. The body consists for the biggest part of water and so does urine. Not all water is the same though. The molecular structure of water can be less or more organized and in the latter case one speaks of structured water. The more it is organized, the better all kind of enzymatic processes can do their job. These enzymatic processes, in their turn, are responsible and necessary for the digestion, absorption and transmutation of all nutrients. Urine is thus a crystalline-like substance containing a high amount of structured water. This structured water, when taken in again, promotes better enzymatic functioning and it has a higher solubility for minerals. A higher amount of structured water in the body system is correlated with better health and more energy. The fact that urine is a liquid crystal substance, particularly because of the various salts in it, implies that it contains crystalline vibrations completely in tune with the vibrational condition of the body. Reingestion might give the body valuable vibrational information. Healthy vibrations will strengthen the already existing, healthy body resonance. Diseased or stress vibrations will counteract any unhealthy resonance in the body. It is known that disturbing sounds of any sort can be counteracted best by confronting it with the same sounds. The vibratory patterns of the body, both in the bones (solid crystals) and in the tissues and fluids (liquid crystals), play an important role in the process of transmutation. The resonance field of a crystal can make a protein, for example, change its form into one that is more useful for the body, or easier adaptable by it. Applying your own bodily substances in an attempt to heal can lead to a considerably broadened outlook on the intelligence and power of the body, and can increase your appreciation and love for yourself as a physical and spiritual being. Instead of regarding excretions (really just a part of yourself) as enemies, you regard them as your helpers. This healthier way of seeing yourself might well have a powerful healing effect on your body. Urine therapy confronts us with a very concrete ‘healer within’ which works both on a mechanistic and on an energetic level. The latter implies that urine, as a holographic substance, can affect all levels of being, from the physical, through the electromagnetic fields of the emotions and the mind, up to the subtler genetic vibrational information of the soul. The water of life is given to you, drink it and wash your body with it. With spirit, mind, and body, we have to guide men and women with wisdom similar to that of a priest, teaching the water of life and the life principle – for this world and the world to come. THE “LOST” FOUNTAIN OF YOUTH IS A MYTH! They want you to think it’s “lost” so you’ll believe it can only be found buried deep in the woods somewhere. When all along it’s your own fountain. There’s not just one fountain of youth on the planet, there are 7 BILLION and counting! Everybody comes with his or her own built-in water fountain! The creator would not put you here without the complete ability to take care of yourself. This explains why you see cherubs and babies peeing into water fountains all over the planet. This is nothing less than a clever pictogram for the fountain of youth. When people fast for 20-30 days on just urine and water, not only do they vaporize WHATEVER illness they had, by the time they are finished, they lose 20-30 years in appearance!!! Multiple books printed worldwide on the subject contain over 1000 case histories of miraculous cures accompanied by amazing rejuvenations. Without fail, this is what happens when one dips a cup into his or her fountain of youth. The holy grail is a myth. Those who study the esoteric schools know that hidden in myths are core truths. The secrets of Urine Therapy are hidden in the mythical stories of the holy grail. No one needs to look any further for “THE” holy grail. Questers for the Grail seek long life, full health, and spiritual power. Those are the EXACT benefits of drinking urine!!! The hidden joke is that it’s not the cup that’s magical, it’s whats in the cup! You can never find “THE” holy grail because ANY cup, vessel, or grail can become “A” holy grail if you start dipping it into the “FOUNTAIN OF YOUTH!!!! !” So there is no such singular item as “THE” holy grail. Distilled liquids (urine, rain, raw juices, and machine-made) will not only destroy and rip out ALL toxins, but as amazing as that is, and as blessed of a relief that is to finally have found an all-powerful defense against Dis-Ease, it is only a minor victory compared to the much sought after, much higher reward of the opening of each human’s very own STARGATE in the center of their head. THIS, is what will REALLY allow all of the “love and light” to shine that everybody is so heroically working on. It’s as easy as drenching yourself with distilled water, just like the Earth does whenever it wants to clean. It pours distilled water (rain) abundantly upon itself!!!!! Drink at least a gallon a day of distilled liquids, and let it fill you with light. I have noticed in my research that simplicity is quite often a hallmark of the most heavy-duty truths.